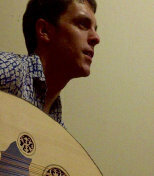 Originally from Long Island, NY, Joseph studied Latin Classical guitar as a child, and has since developed his own unique blend of musical genres from World, Classical, and Middle Eastern, to Jazz, Folk, and Celtic. While majoring in Environmental Design at the University of Georgia, Leone picked up a 12-string and began making up his own free-form chord structures and tunings. Throughout his musical career, he has always written and performed his original music; forming different bands and groups with instrumentations suited to his varied compositions. 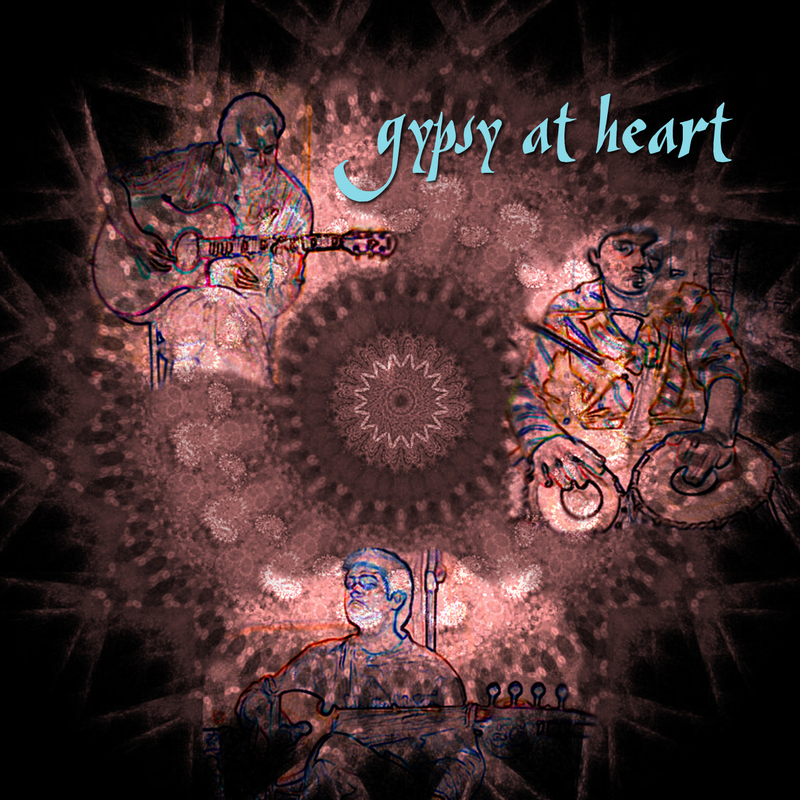 In the 1980's Leone formed the group, Studio East, with musicians from Afghanistan and India: Sitar, tabla, violin, and guitar. It was then his love for merging East-West musical styles began. Song writing for him comes mostly from experimenting with different positions to play similar sounding arpeggios; with different finger pickings, tunings and time signatures. With lyrical pieces, Joseph writes thought provoking, metaphorical poetry. Some songs flow easily, while others take years of returning to the lyrics and progressions to complete. Joseph has performed in, and written and produced numerous original choreo-dramas with dancers; including dancers from the Atlanta Ballet... (choreographed dance performances that tell a story, with some pieces based on his lyrics). He has received commissions to compose and record music scores for theatrical drama performances and dance companies. While residing in Atlanta, Leone also produced multi-media stage productions with world musicians and his video art projections as stage sets. 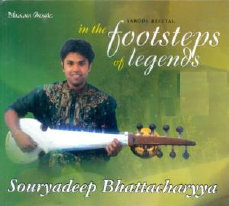 Souryadeep Bhattacharyya is a well known name among the new generation of Indian classical sarod players. 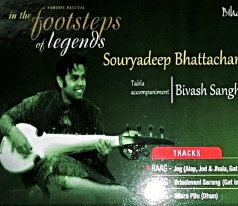 Souryadeep is a premier "Gandabandhan" disciple of the legendary sarod player Pt. 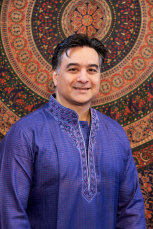 Alok Lahiri and has a unique playing style encompassing different gharanas (styles) of sarod. 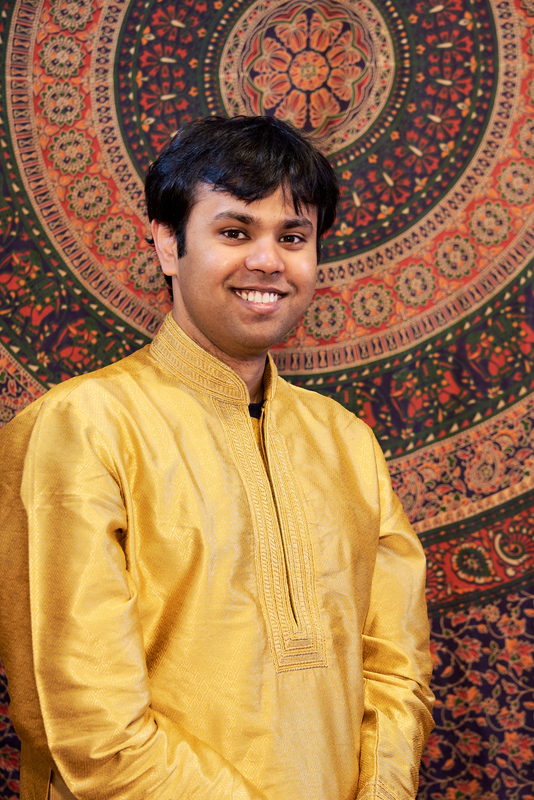 Souryadeep has many awards and honors to his credit including the National Gold Medal in Instrumental Music from the Association of Indian Universities (2008), Junior and Senior National Scholarship (Govt. of India, 2009), “Pt. Nikhil Banerjee Memorial Trophy for the Best Instrumental Performer” by the Dover Lane Music Conference (2009) among others. He is a B-High grade permanent artist affiliated with All India Radio and is also an IndianRaga Senior Fellow (2014), Creative Director (2015), and Judge. Souryadeep has performed in many prestigious concerts nationally and internationally which have been highly acclaimed by audiences and critics alike, including at the Lincoln Center in New York City and the Pt. Kashinath Bodas Music Festival in Phoenix, AZ. Souryadeep has been recently empaneled as a performing artist of the Indian Council for Cultural Relations (ICCR), Govt of India and is honored to represent India as a musical ambassador. Louis Romanos's journey into music and percussion began at age 6 when his parents gave him a snare drum. Around age 14, Louis discovered what he calls the "flow" in music. Ever since, Louis's music studies have been focused on tapping into the elegant flow of musical ideas and the healing energy it provides. Louis studied jazz percussion under Idris Muhammad, Johnny Vidacovich and Art Perretta. At nineteen he moved from Connecticut to go to the birthplace of Jazz, New Orleans, to study music and philosophy. Louis has since performed and recorded with a number of renowned musicians including Tommy James (Director of the Duke Ellington Orchestra), Gene Bertoncini, Steve Masakowski, Chuck Leavell, Keith Richards, John Mayer, Charles and Cyril Neville, Al Hirt, Dave Easley of Brian Blade’s Fellowship Band, Charlie Miller of Dr. John’s band, Jazz Legend Earl Turbinton, Tricia Boutte, Marva Wright and Dave Anderson of the Louisiana Philharmonic and many, many more. As a Composer, Louis writes for live bands, dance, TV, video games, indie movies and commercials. Additionally, his composition, Tyco at the Gates, was licensed to the major motion picture, Cool It. Recent credits include a dystopian futuristic score for the short movie, Odessa, an action score for Fira’s Game, and an uplifting score for feature documentary, Pink and Blue: the colors of hereditary cancer. 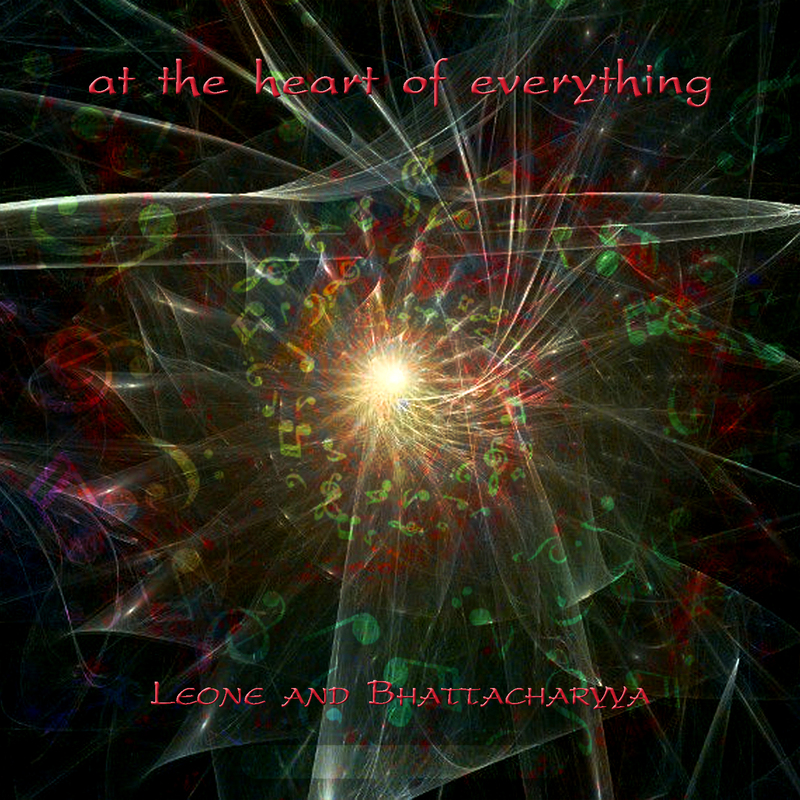 Louis has also scored live theater (The Bakkhai), video games (The Dark Ages of Titan, Corpse Wagon), the modern ballet (Interior Borders by choreographer, Joan Buttram, at University of Georgia) and recording drums on the new theme song for the Squidbillies on Cartoon network.